So, you are looking to complete a migration from Exchange to Office 365, you’ve managed to fairly easily migrate all of your mailboxes but now it’s time to migrate your organisations public folders and you can’t find any options in the UI to migrate them. I’ve got some good and bad news for you, the good news is that it is possible to migrate the public folders, the bad news is that if you don’t want to use 3rd Party Software this is going to be by far the most complicated stage of your Office 365 Migration. The reason that migrating public folders to Office 365 is such a pain is that Microsoft actually tried to kill off Public folders when they brought out Exchange Online, when it first launched, public folders were completely missing. After a fair amount of uproar Microsoft brought public folder support back, I’ll warn you now though, it’s a bit messy. You are in for a bumpy ride! Unfortunately, there is no easy tool provided by Microsoft to do the migration, we must use a collection of PowerShell scripts and cmdlets to do the work for us. Save them all to C:\PFScripts feel free to change this location but make sure all the scripts are in the same place. If you don’t have these versions of Exchange you will have to upgrade and unfortunately if you have Exchange 2003 you can’t migrate your public folders to Exchange Online. You need to follow the following steps on your Exchange server before attempting the migration, if you miss any of these the scripts won’t work properly. Then simply remove the backslash from any folders that it finds. Once you’ve reset the migration status you have to wait for these settings to refresh in Exchange, this could take a couple of hours. If you are using Azure AD connect you must remove public folder objects from the sync. Now that the Exchange Server is ready to go it’s time to move onto setting up Exchange Online. Make sure there are no pre-existing public folder migration requests, if there are delete them. Check that there are no public folder mailboxes already in Exchange Online, if there are check for existing public folders. 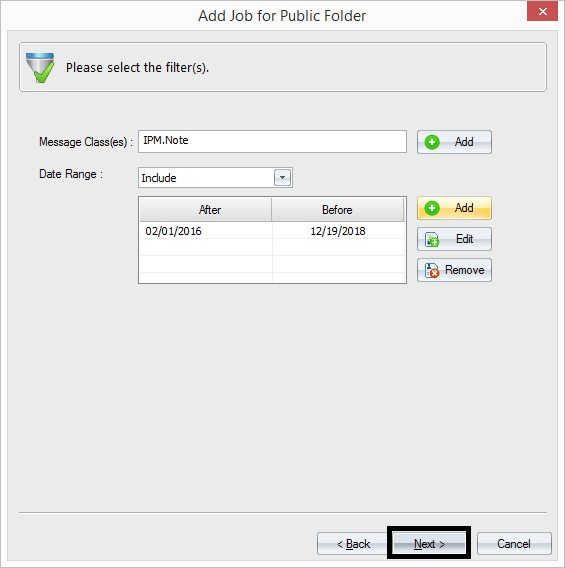 You will want to remove any public folders and public folder mailboxes before carrying on. Have a look through your folder to mailbox map file, if there are more than 1000 rows you will need to simplify your public folder layout. Update the estimate with the max number of concurrent users you expect, this isn’t massively important but it might help performance in bigger organisations. Up until now everything has been prep work for this stage, now it’s time to start syncing our data. Synchronize the mail enabled public folders, run this on the old Exchange server. Use your Office 365 Admin account credentials when prompted. Find the FQDN of the Outlook anywhere URL. Now switch to Office 365 PowerShell, it’s time to update the info we just got into Exchange Online, first we need to set some values, then we can actually create the migration request! Now we need to stop users updating, editing and accessing the old public folders, we don’t want them to make any changes that won’t be synced. Depending on a few factors the migration process could take a while (how much data you have, Exchange performance, bandwidth etc..) and during this time Public Folders will effectively be offline, any mail that comes in for them will remain queued and users will have no access. You may need to make provisions for this. So back to the shell (old Exchange server). Public folders are now locked, if you have multiple public folder servers you will have to wait for them to replicate before continuing. We are finally done, time to test! Run all these commands in 365 Shell. Run this command to give yourself access to the public folders. Login to outlook, if the public folders look ok to you then it’s time to give everyone else access. If you do not want to go through this tiresome process, then you can always choose a much safer option - a third-party tool like Kernel Migrator for Exchange which conducts a flawless public folder to Office 365 migration. With this Exchange Migration tool, You can choose to run a pre-migration analysis to know the possible migration time. Also, it synchronizes source and destination data and migrates limits and permissions too. 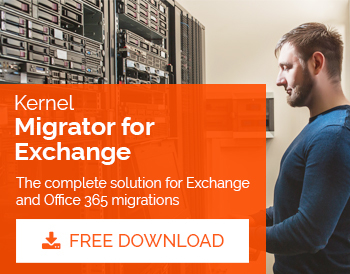 Start the Kernel Migrator for Exchange software application. 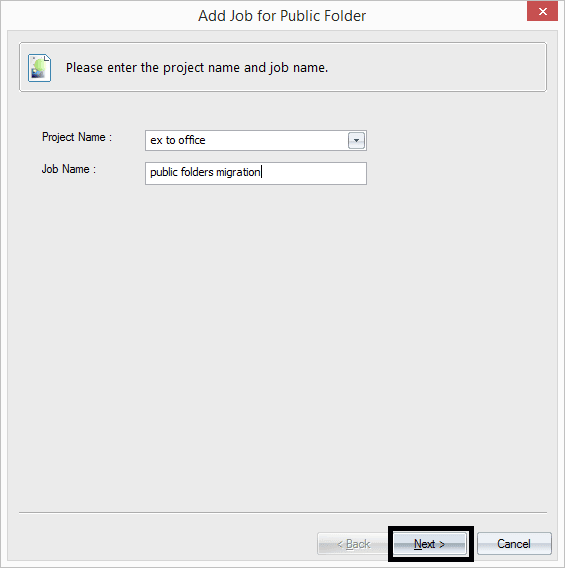 Click on the Add Project option to add a project for the migration process. Enter a project name and click OK. A migration project will be created. 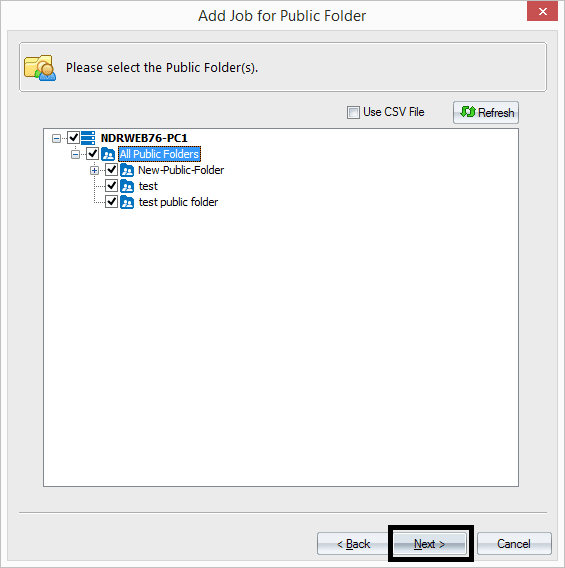 Now click on Add Job for Public folders. 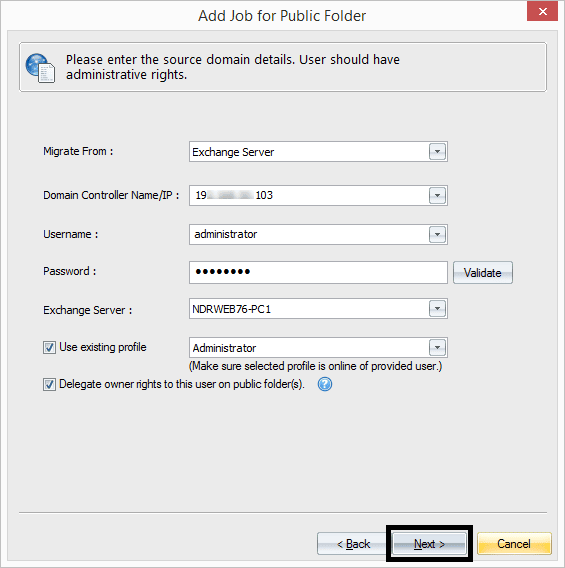 Enter the source domain (Exchange 2010) login details. Perform validation of the details with Validate option. With this tool, you can Use existing profile and also delegate owner rights to this user on public folder(s). After providing the complete information, click Next. 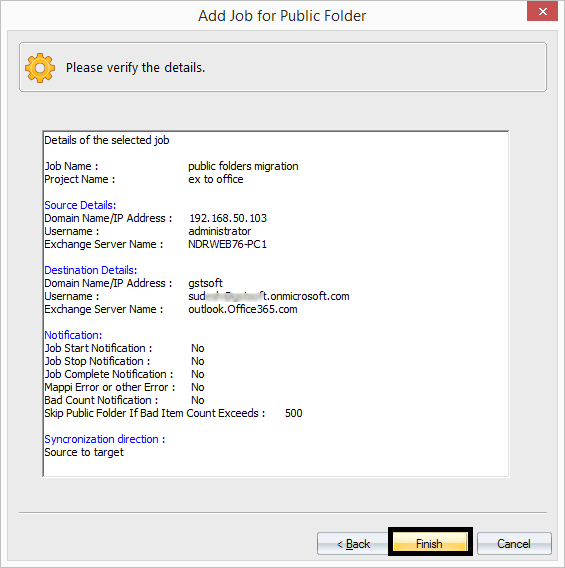 Select the public folders you want to migrate from the list and click Next. In the next dialogue box, enter the target domain (Office 365 account) details like username and password. Here also, you can validate the details. If required, use the existing profile and finally click Next. Users can filter the data with filters like Message classes, Date range, etc. After filtering, click Next. Users can manage bad items and synchronization settings with the options provided. Then click Next. 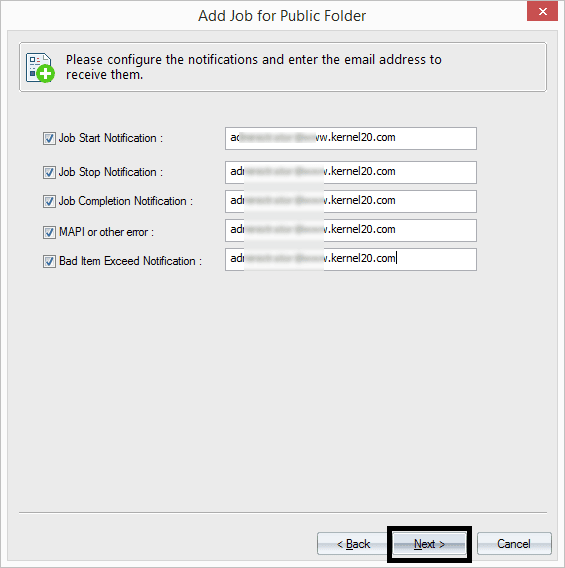 Set the job notifications by providing the email address (if needed) and click Next. 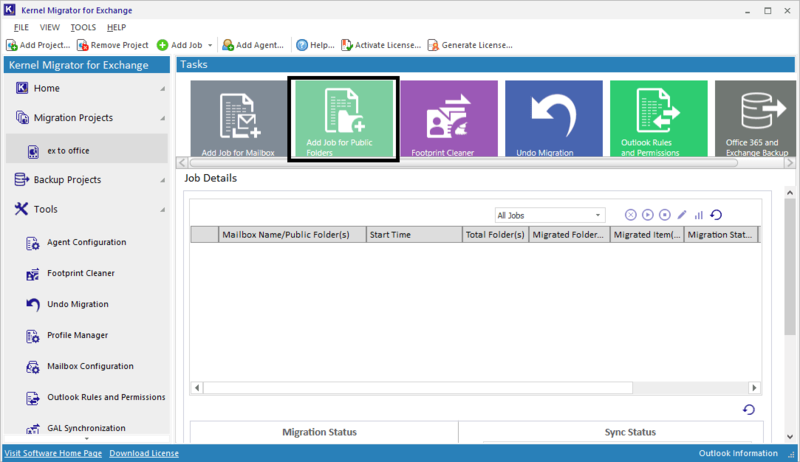 Confirm the job details given in the summary and click Finish to start the migration. Depending on the data to be migrated, the software will take some time for migration. Once the migration of Exchange public folders to Office 365 is completed, migration status will be shown as completed or successful. 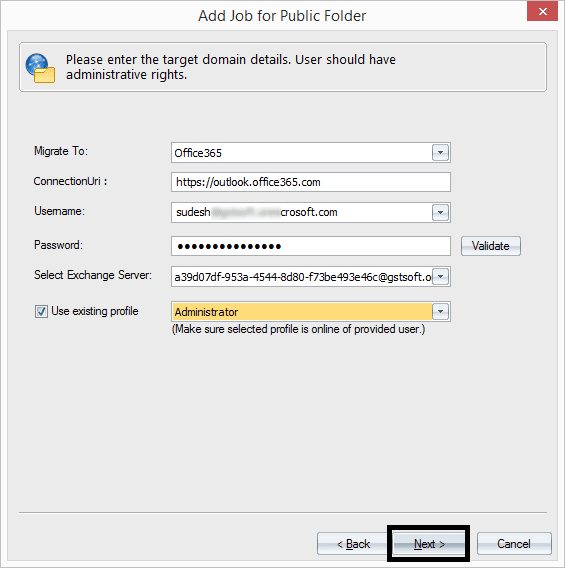 Though there are some manual ways to migrate public folders to Office 365 from the older versions of Exchange, many Exchange administrators prefer professional Exchange migration tools over them. 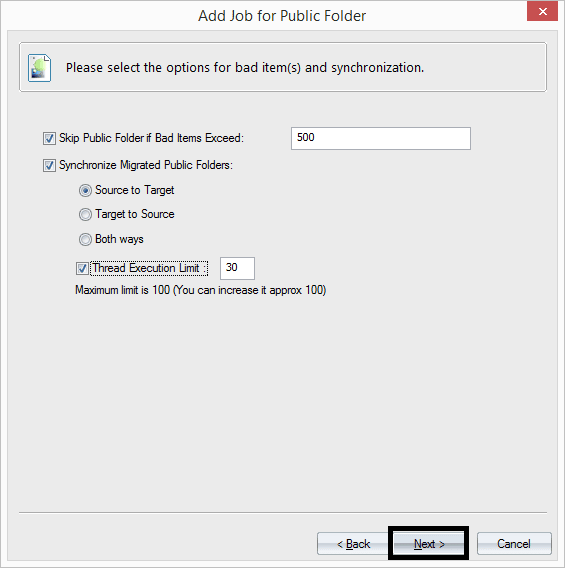 In this article, users get to know about how Kernel Migrator for Exchange migrates public folders. Also, this tool facilitates migrations between Exchange versions, from Office 365 to Exchange and between two Office 365 tenants.